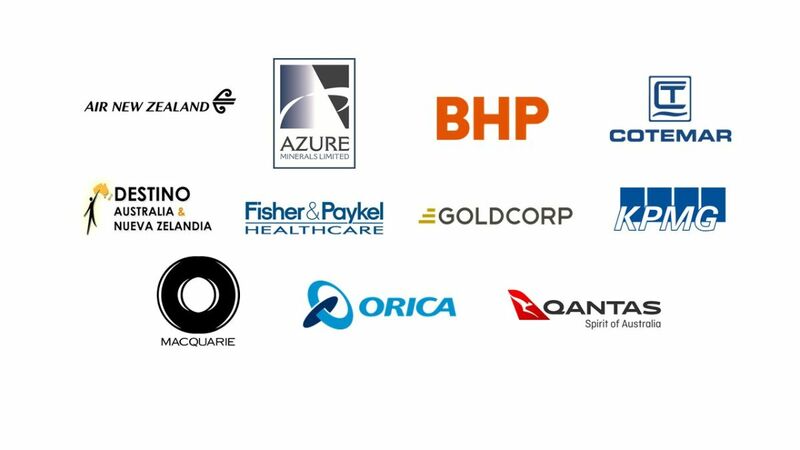 ANZMEX events present excellent opportunities for members to discuss topics of relevance and to develop their professional networks. There is no post on this category yet, please try in other one. The fallout from recent politics in Mexico and the world can isolate us from our own collaborators. As leaders, how can we build bridges, seek opportunity and keep our organizations moving forward in this environment? Conversari Global will present an interactive workshop targeting strategic leadership skills for uniting our organizations. On this occasion Jonathan Davis, executive chairman of Macquarie Mexican Infrastructure Fund and Erick Layseca, VP of Business Development for Wellington Drive Technologies Ltd. will share the experiences and challenges they and their companies have faced during their time in Mexico. (PAST EVENT) Conversations with ANZMEX © Why Mexico is good for New Zealand companies? We are pleased to invite you to the ANZMEX Annual Assembly© 2019 which will take place on Wednesday, 6 March 2018 from 18:00 to 20:30 at Club de Industriales. The Assembly will be followed by a special presentation on "What to expect for Mexico's economy in 2019" by Richard Ensor, The Economist's Mexico City bureau chief. (PAST EVENT) The ANZMEX Energy Debate Series© 13 - What is the role of the private sector in storage and distribution? Join us during the next ANZMEX energy debate as we continue to engage in a candid conversation around Mexico’s ever changing energy sector landscape; in-hand and accompanied, by some very special guest speakers who will shed the light on a 2019 outlook on this topic. We would like you to join us at the Official Residence of Australia in Mexico to celebrate the beginning of 2019 with an Australian/New Zealand-styled Barbecue. It will be a relaxed and casual event for our members, their friends and families. (PAST EVENT) Conversations with ANZMEX©: Mexico's Public Security Outlook 'what does the future hold'? ANZMEX is pleased to invite you to join ANZMEX members, diplomats, government officials and our sponsors for an exclusive dinner at the famous Jockey Club of Hipódromo de las Américas & enjoy a live broadcast of Australia's most important race: The Melbourne Cup . Let’s have an honest dialogue and find out how the mining sector could improve its efficiency to create wealth, survive the risks, innovate and take advantage of the real opportunities. Join us in a relaxed afternoon participating in the live racing programme, cheering for the ANZMEX sponsored race and enjoying a drink with friends and guests. Conversations with ANZMEX©: What you really need to know about NAFTA renegotiations? : An exclusive presentation by Kenneth Smith, Mexico's Chief Negotiator for NAFTA. 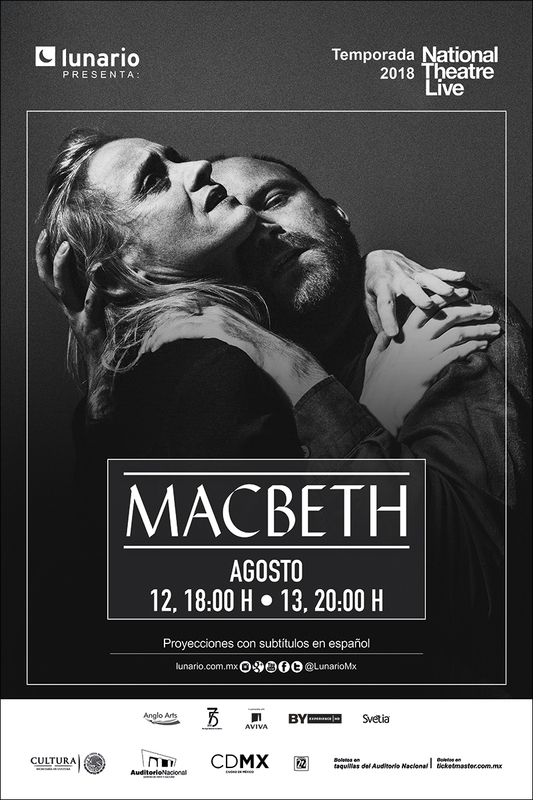 Next Monday 13 August, Lunario will be screening Macbeth, William Shakespeare’s most intense and terrifying tragedy directed by Rufus Norris (The Threepenny Opera, London Road). Superb thespians Rory Kinnear (Othello) and Anne-Marie Duff (Suffragette) play Macbeth and Lady Macbeth. What is the tender process for TELECOMM’s Red Troncal (Back Bone Network) as a Public-Private Partnership? If you are an aussie living in Mexico or a Mexican who loves Australia and want to support the Football National Team in Russia don't miss the opportunity to watch Australia's last match of the first round against Peru. On this occasion Kate Brown de Vejar, ANZMEX Vice President & Partner at CURTIS-MALLET and Rafael Funes, Executive Chairman at LOVIS (one of our Gold Patrons) will share their experiences and challenges they have faced during their time in Mexico. Convocatoria para Asamblea General 2018. ANZMEX Annual Assembly 2018 - Farewell Cocktail for Adrienne Bonwick. ANZMEX is pleased to invite members and their guests to join us for our 2017 VIP Racing Dinner. 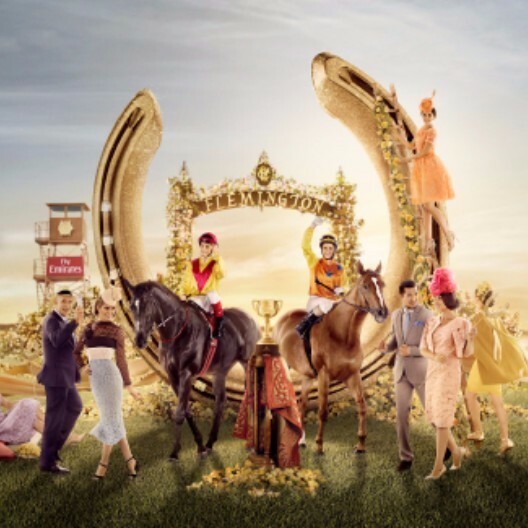 Join ANZMEX members, diplomats, sponsors and our guests for an exclusive dinner at the Jockey Club and enjoy a live broadcast of Australia's most important race, the Melbourne Cup. ANZMEX is pleased to invite all members and guests to join us for an afternoon of horse racing at the Hipodromo de las Americas. Join us relaxed afternoon participating in the live racing programme, cheering for the ANZMEX sponsored race and enjoying a drink with friends and guests. Breakfast-conference: Gender Equality in the Energy Sector with Maria Blekey from POWEful woman. The ANZMEX Energy Debate Series© “Energy Security” - who wins and why? ANZMEX Energy Debate to be held on October 12th at Club de Industriales. Energy security “who wins & why?” The energy security paradigm has been broken - Join the debate. ANZMEX Business Council is pleased to invite you our next ANZMEX Discovery Breakfast Series 3 to be held on 16 August 2017 at Hacienda de los Morales. 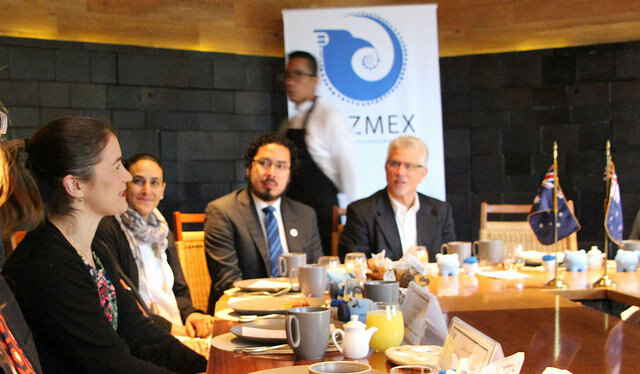 CONVERSATIONS WITH ANZMEX: PUBLIC-PRIVATE PARTNERSHIP OPPORTUNITIES IN THE MEXICAN WATER AND SOLID WASTE SECTORS. ANZMEX Business Council is pleased to invite you our next ANZMEX Discovery Breakfast Series 2 on 14 June 2017 at Restaurant Au Pied de Cuchon. ANZMEX Discovery Series is an initiative aimed at bringing our members together to get to know each other better and to discuss business experienes and challenges in a collaborative manner. The ANZMEX Energy Debate Series : “American Energy vs. Mexican Energy - Who Wins and Why? ANZMEX Business Council is pleased to ask all members to save the date for the upcoming Energy Debate in The ANZMEX Energy Debate Series ©. “American Energy vs. Mexican Energy - Who Wins and Why?" ANZMEX Business Council is pleased to invite you to a members only event with senior staff of the Mexican Institute for Competitiveness. We invite you to join us this Saturday January 28, at our Australia Day - ANZMEX Barbecue, which will take place at the Official Residence of Australia. With the aim of celebrating Christmas and the end of a very succesful year, we are pleased to invite all our members to ANZMEX - 2016 Christmas Party!!! ANZMEX Business Council is proud to invite you to a members only event with Gerardo Gutiérrez Candiani, Head of the Federal Authority for the Develpment of the Special Economic Zones. ANZMEX Business Council is proud to invite you to a members only event with Mario Alfonso Cantú Suárez, General Coordinator of Mining. The ANZMEX Energy Debate Series ©: Energy Infrastructure in Mexico - Who Wins and Why? ANZMEX is pleased to extend the invitation to all members to the event "Trans-Pacific Partnership Agreement and its impact for companies established in Mexico"
Executive Women in Mexico - A Gender Issue? ANZMEX, in collaboration with the Spanish Chamber of Commerce (CAMESCOM), is pleased to invite all its members to the event: "Executive Women in Mexico: A Gender Issue?". ANZMEX Business Council is pleased to invite all its members and guests to the event: Conversations about Corporate Social Responsibility (CSR). With the aim of celebrating Christmas and the end of a very succesful year, we are pleased to invite all our members to our ANZMEX 2014 Christmas Party!!! ANZMEX hosted the Official Family Racing Lunch of ANZMEX Racing Week 2014. ANZMEX hosted an exlusive VIP Dinner for its members and guests to celebrate ANZMEX Racing Week 2014. ANZMEX is pleased to invite all its members to the second ANZMEX Energy Debate: "Tight Oil Onshore vs. Deep Water Oil Offshore” - who wins and why? ©, where leading experts will defend and debate their position, your questions will get answered directly, topics will get addressed frankly, and you will get a chance to vote on what you think is the best solution for key energy challenges. 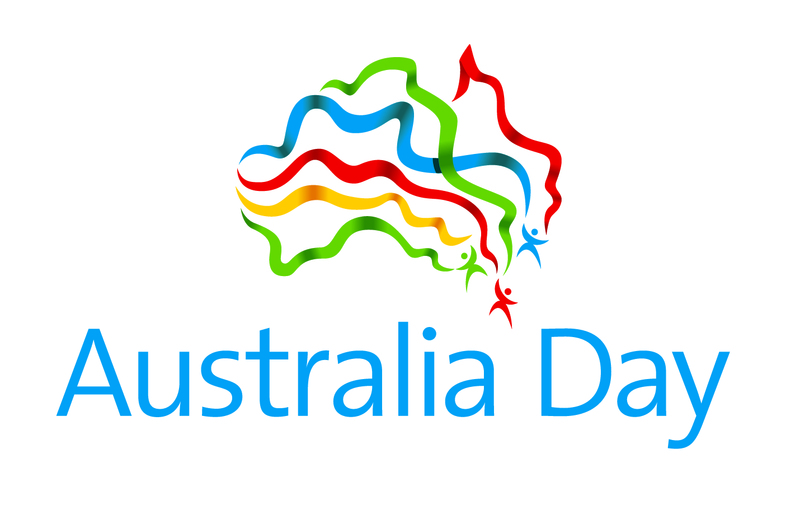 Come and celebrate with us Australia Day! Be part of the upcoming Summit held by Business News Americas and take advantage of this unique opportunity to grow your network and get firsthand knowledge of what the industry is expecting for 2013. How to negotiate unspoken rules? How to unlock opportunities in change for teams? The fallout from recent politics in Mexico and the world can isolate us from our own collaborators. As leaders, how can we build bridges, seek opportunity and keep our organizations moving forward in this environment? Conversari Global will present an interactive workshop targeting strategic leadership skills for uniting our organizations. We encourage you to bring diverse team members to the event! We are pleased to invite you to the 6th edition of ANZMEX Discovery Breakfast Series© which will take place on Wednesday 22 May 2018 from 8:00 to 10:00am at Club de Industriales' Library in Polanco. The format will be a breakfast meeting with 15 - 20 guests. At each event we invite 2 members from diverse sectors to introduce their activities to the rest of the group. Following that, we will encourage a free ranging discussion on topics of mutual interest. 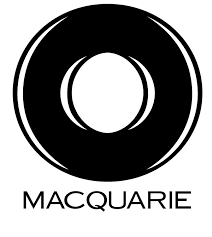 Click on the logos below to find out more information about Macquarie and Wellington Drive Techonolgies. Why Mexico is good for New Zealand companies? "The Fisher & Paykel Healthcare success story"
CPTPP has been ratified by both countries and it is New Zealand’s first trade agreement with Mexico – its largest goods trading partner in Latin America and 21st-largest export market overall. Mexico has a population of 130 million people. It is a world leading exporter of top-quality products, with a thriving medical device manufacturing sector, and is deeply integrated into North American supply chains. Opportunities for New Zealand organisations abound, from education and R&D to manufacturing and supply chain efficiencies. Mexico has significant demographics of high-income earners (8-9 million by one estimate) and medium income/aspirational consumers (15-25 million) with a high level of receptiveness to foreign goods and services, including innovative medical devices and therapies. As the most populous Spanish-speaking country in the world, Mexico represents an ideal point of entry for New Zealand businesses wanting to operate in other Latin American markets. Let’s listen to what Fisher & Paykel Healthcare – one of the most important New Zealand companies in the world – has to say about its road to success in Mexico! Conversations with ANZMEX © Why Mexico is good for New Zealand? We are pleased to invite you to the ANZMEX Annual Assembly© 2019 which will take place on Wednesday, 6 March 2018 from 18:00 to 20:30 at Club de Industriales. The Assembly will be followed by a special presentation on "What to expect for Mexico's economy in 2019" by Richard Ensor, The Economist's Mexico City bureau chief. In addition to legally required elements referred to in the Call for General Associates’ meeting, we will discuss our plans for 2019 and invite members to share their perspectives with us. The event will conclude with the raffle of two Qantas round-trip tickets to Australia and one Air New Zealand round-trip ticket to New Zealand. Tickets for the raffle will be available in our upcoming events and at the registration table the day of the Assembly. Undertaking the Annual Assembly is a legal requirement for our Association and thus we must comply with the legal procedure regarding the number of attending members in order to make the voting process valid. Therefore, it is of utmost importance that each member is represented* and that the arrival time is respected. In the case that you are unable to attend we request that you complete the attached PROXY FORM, nominating your representative (ideally another member who will be attending or a member of your organisation). You can also nominate Mr. Manuel Hallivis, who will help us with the legal requirements and with the the registration of the notarized deed. *Please note that our honorary members are not required to vote, but we would very much appreciate their active involvement in the Assembly. Designación o, en su caso, ratificación de los Miembros del Consejo Directivo o funcionarios de la Asociación. 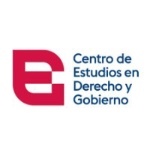 Informe del Tesorero del Consejo Directivo sobre los estados financieros correspondientes al ejercicio social de 2018 y el presupuesto para 2019. Informe del Director sobre la membresía de la Asociación, ratificación de dicha membresía, así como propuestas y, en su caso, aprobación de la admisión y renuncia de Asociados. En términos de los estatutos de la Asociación, los Asociados podrán concurrir a la Asamblea personalmente o mediante apoderado, bastando en este último caso una carta poder firmada por el otorgante. Para ser admitidos a la Asamblea, bastará que los Asociados estén inscritos como tales en el Registro de la Asociación, o comprueben su carácter de cualquier otra manera legal. Appointment, or when applicable, ratification of the Members of the Executive Board of the Association. Report by the Treasurer of the Executive Board regarding the financial statements corresponding to fiscal year 2018, as well as the budget for 2019. Report by Director regarding the membership of the Association, ratification of such membership, as well as proposals, and if applicable, approvals of admission and resignation of Associates. 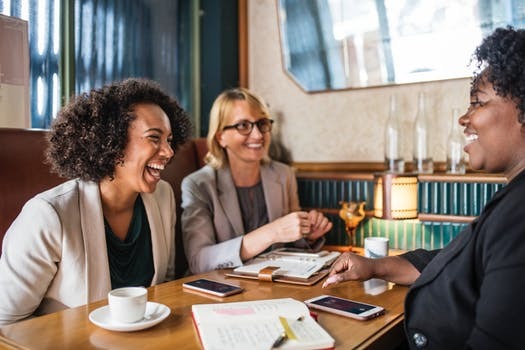 Pursuant to the Association’s bylaws, the Associates may appear at the Meeting personally or through a representative authorized by a proxy letter signed by the grantor. In order to be admitted into de Meeting, it shall be enough that the Associates be inscribed as such in the Associates Registry, or that they prove such capacity by any other legal means. Mexico remains one of the last frontiers in energy market deregulation. What is the role of the private sector in storage and distribution? - "who wins and why?" With Pemex refineries running at 30% capacity in addition to serious disruptions on the supply chain such as fragility of supply, shortages, lack of storage/stocks, queues at filling stations, rising imports and further dependency on US refineries for liquid fuels; it is no wonder that headlines in Mexico and around the globe have been focusing on the severity derived and its direct hit on consumers and industry alike. We are at a crossroads on the midstream intersection, offering companies solid investment opportunities within the pipeline system expansion, as well as a much needed increase/re-vamping of storage and distribution terminals.Who wins and why? What is the debate format? Each debate contains recognized experts, some covering one position, some covering the other, and a moderator. The debate is traditionally held in English. Each of the debaters makes an opening statement of no more than 5 minutes each. The debate then continues with questions from the audience and answers from the debaters. No question is longer than 20 seconds, no answer should be longer than 60 seconds. Chatham House rules apply. The debate will last 1 hour after which the moderator will organize a series of votes by a show of hands. Refreshments are available before, during & after the debate! Copyright © 2019 ANZMEX Business Council, All rights reserved. You are receiving this email because you have subscribed or requested to receive information from the Australia, New Zealand and Mexico Business Council. 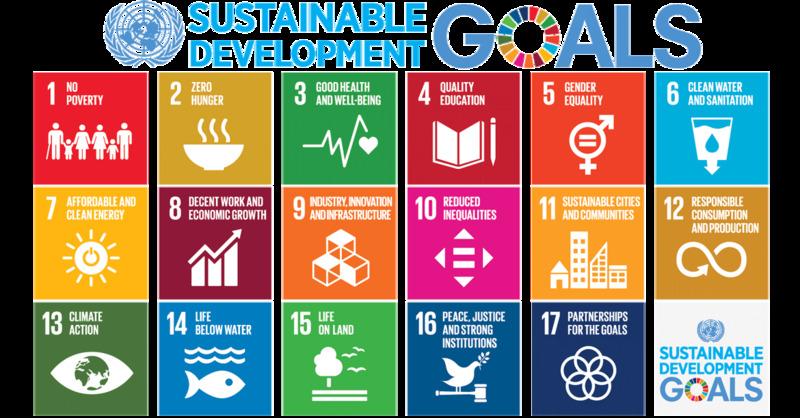 Mega Trends and Sustainable Development Goals (SDG’s) – 'what are the trends and what we see our clients doing'? Group Chief Executive of ERM. She commenced this role in April 2017, having previously been the Global Director of Operations and the Regional CEO for Asia Pacific. Keryn joined ERM in 1993 and has worked with clients across a range of geographies including Asia, Africa, Europe, North America and Latin America. She has over 25 years’ experience in sustainability and Environment, Health and Safety (EHS) consulting across a broad range of sectors including oil and gas, mining, chemicals, infrastructure and power. 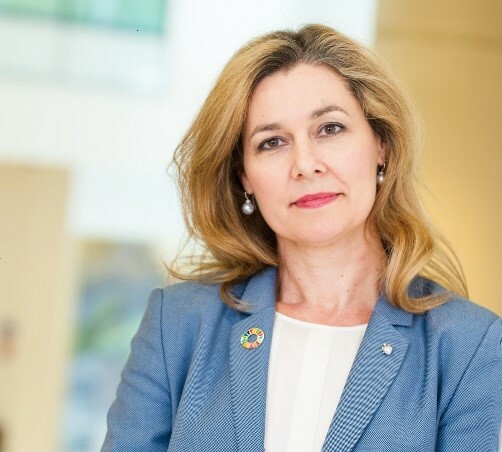 She has supported clients in the development of sustainability and EHS strategy, evaluation of mergers, acquisitions and divestments, as well as project development and implementation and operational performance management, working at corporate and site level. 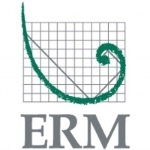 Environmental Resources Management (ERM) is a leading global provider of environmental, health, safety, risk, social consulting services and sustainability related services. They have more than 160 offices in over 40 countries and territories employing more than 4,700 people who work on projects around the world. ERM is committed to providing a service that is consistent, professional and of the highest quality to create value for their clients. 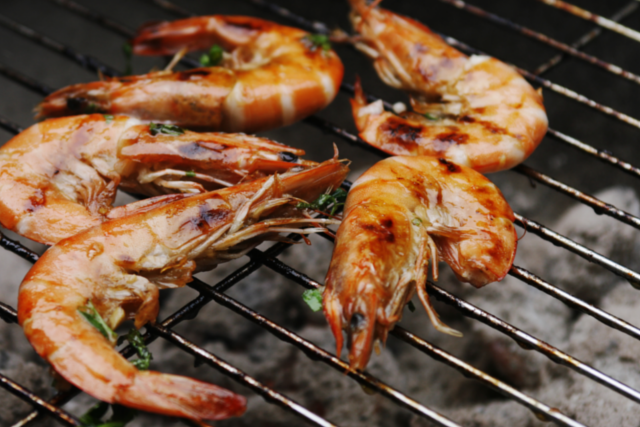 It is time to put some prawn on the barbie! We will provide food and drinks and a surprise raffle will take place. We have selected this day, because it coincides with the Australia Day celebration and it is also close to New Zealand’s Waitangi Day on 6 February. Both celebrations in contemporary Australia and New Zealand reflect the diverse societies and landscapes of these two great nations, and are marked by community and family events. If you have children they are welcome to attend free-of-charge. 'what does the future hold'? Mexico’s Public Security Outlook: What Does the Future Hold? Public security dynamics in Mexico have witnessed dramatic changes over the past few years. Driven by economic incentives, criminal organizations have evolved into mafia-style groups seeking dominance over particular regions and activities, while new, smaller gangs have proliferated across the country. As a result, violence and crime have reached record highs. This unprecedented lawlessness has generated new security risks for both citizens and businesses, as crime has begun to encroach on previously safe areas. Emerging Markets Political Risk Analysis (EMPRA) is Mexico’s leading political risk advisory firm. 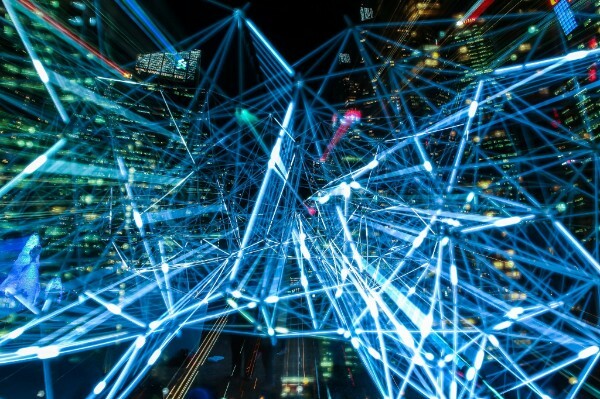 EMPRA delivers critical intelligence and independent analysis on political, policy, and security developments and their impact on key areas of the economy. Our services help decision makers anticipate upcoming changes in the political spectrum and formulate timely, successful strategies in the face of sudden changes and uncertainty. This has a direct impact on investment, decision making, and corporate performance. He has more than 15 years of experience in political risk consulting, with a focus on providing analysis on politics, energy, and public security for multinational corporations doing business in Mexico. Prior to founding EMPRA in 2007, Mr. Schtulmann worked as a research analyst for the Stability Index Project at Eurasia Group and as a consultant for the Inter-American Development Bank in Washington, D.C.
Mr. Schtulmann holds a B.A. in International Trade and Business from the Instituto Tecnologico y de Estudios Superiores de Monterrey (ITESM). He also holds an M.Sc. in Economic Development from the School of Oriental and African Studies (SOAS) of the University of London and an MIA in International Political Economy from the School of International and Public Affairs (SIPA) at Columbia University. Mr. Schtulmann received executive diplomas in Counter-Terrorism Studies from the Lauder School of Government at the Inter-Disciplinary Center in Hertzliya, Israel (2011), and in National and International Security from Harvard’s Kennedy School of Government (2017). In Mexico, as in Australia and New Zealand, horse racing brings together fascinating people from commercial, political and social communities that together create one of the most exclusive sporting environments. 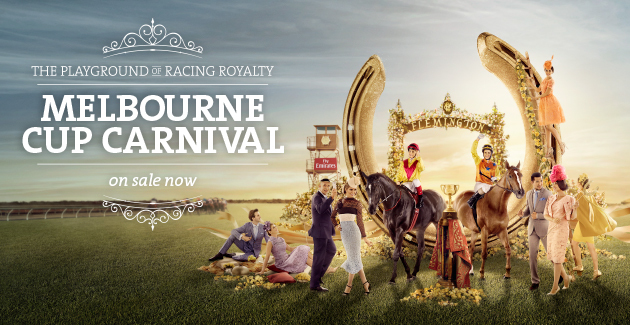 Enjoy fabulous food and wine, watch a live broadcast of the world famous Melbourne Cup and treat yourself to a great night out. Our guests are encouraged to dress for the occasion - suit and tie for men, hats or fascinators and racing dress for the ladies. For more information on Racing Fashion, take a look at the Melbourne Cup's Fashions on the Field. 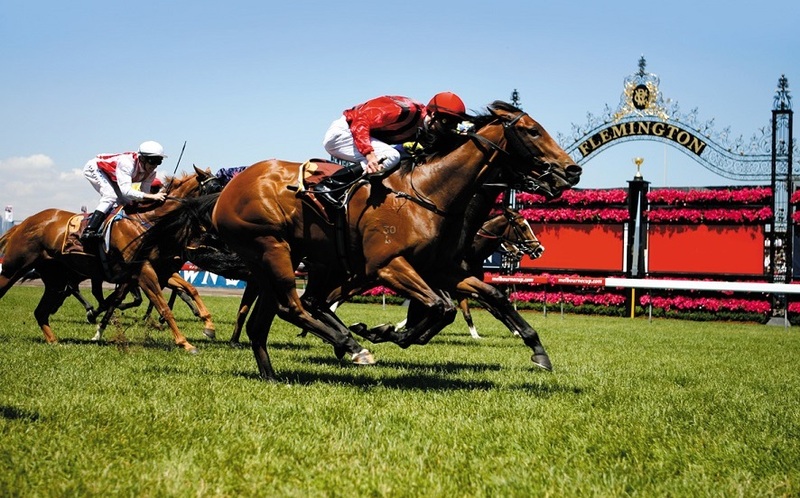 To learn more about Melbourne cup please click here. To learn more about the exclusive Jockey Club of the Hipódromo de las Américas please click here. 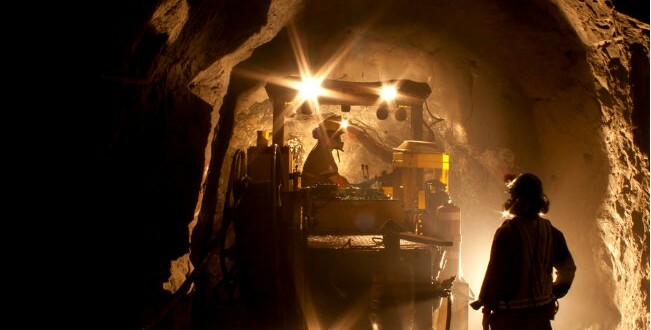 There is a general consent that the Mexico mining sector has suffered lack of attention and its participation in the country’s economy needs to be reconsidered and repositioned. All the important actors – local and international – agree the potential this sector has to bring prosperity is enormous. Even the president-elect has made it clear mining will be a priority for his government. On the other side, many risks and challenges will continue to be present: Bureaucracy, permits in different levels, environmental & human rights issues, security and potential exposure to corruption are all parts of the equation. Companies and miners will have to sort them out. 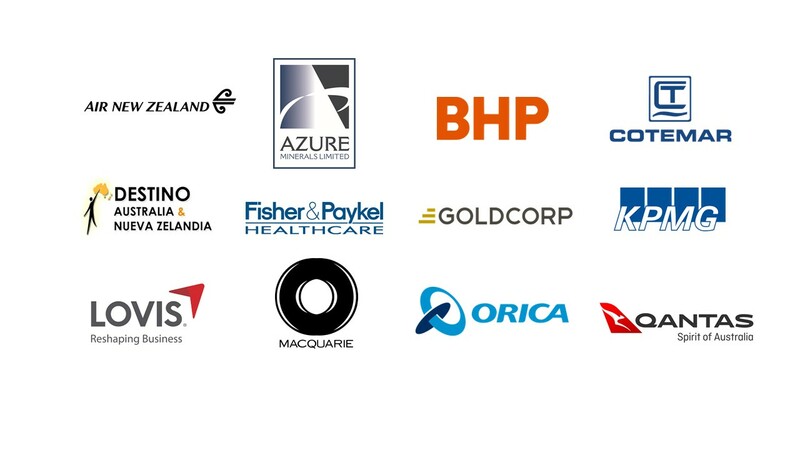 ANZMEX is bringing together its more relevant mining members: Azure Minerals, GoldCorp, CAMIMEX and Orica to discuss these issues based on their experiences. How can international companies improve current operating practices? How the government can support this sector to grow ? How is NAFTA going to affect this sector? What can be done to counter its effects? Chatham House rules apply for this event. The Mexico mining sector: "what are the opportunities and risks ahead?" How to take advantage of the new opportunities? For this business breakfast some of the panellists will conduct their interventions in SPANISH. If you don't understand Spanish please let us know when you RSVP. ANZMEX is pleased to invite all members and guests to join us for an afternoon of horse racing at the Hipodromo de las Americas. At this event, attendees will enjoy a three-hour open bar and a special race sponsored by ANZMEX in the Jockey Club. This event forms part of ANZMEX's Racing Calendar, along with our VIP Racing Dinner. A separate invitation will be sent for this other event. What you really need to know about NAFTA renegotiations? Appointed by Mexico’s Economy Minister Ildefonso Guajardo Villarreal as the country’s chief negotiator for the modernization of the North American Free Trade Agreement (NAFTA). Mr. Smith Ramos brings a wealth of experience with his long running career in the Mexican Government and expertise in international trade negotiations. As the Representative of Mexico’s Ministry of Economy in the Embassy of Mexico, he has lead the efforts to promote and defend Mexico’s trade interests in the United States. Additionally, he is the Ministry’s lead liaison with US private and public sector stakeholders, NGOs and think tanks. Mr. Smith Ramos’ broad negotiation experience is the product of nearly three decades of public service. He also served as Director General for International Affairs in the Federal Competition Commission, and was Director General for North America in the Ministry of Economy. Mr. Smith Ramos holds a Bachelor’s degree in International Affairs from Georgetown University, and a Master’s degree in International Economics from Johns Hopkins, School of Advanced International Studies (SAIS). It will last 45 minutes and will be followed by 15 minute a Q&A session. The Mexico energy sector in crisis - “what is the solution & why?” - Everyone agrees the energy sector in Mexico is in crisis with production down dramatically and imports at unprecedented highs. Mexico’s energy independence continues to decrease while Energy reforms will take time to impact its energy outlook. Some believe Mexico ended up here due to lack of development capacity and the lack of an open market. Others believe the lack of investment in PEMEX and the opening of the economy is what got us here. All are in agreement we are in a crisis, however, depending on what you believe got us into this situation, you may have a different view on what is the solution & why. Each debate contains recognized experts, some covering one position, some covering the other, and a moderator. The debate is held in English. Each of the debaters makes an opening statement of no more than 5 minutes each. The debate then continues with questions from the audience and answers from the debaters. No question is longer than 20 seconds, no answer should be longer than 60 seconds. Chatham House rules apply. The debate will last 1 hour after which the moderator will organize a series of votes by a show of hands. Refreshments are available before, during & after the debate! 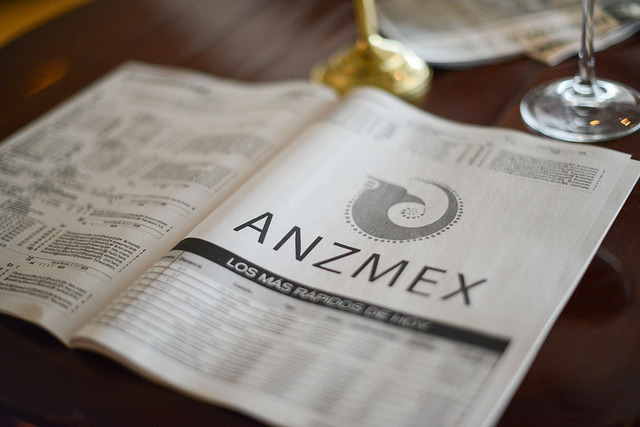 ANZMEX is always looking for opportunities to add value to its membership. This time, thanks to a longstanding relationship with our colleagues from Lunario (a smaller venue part of Mexico’s iconic National Auditorium) we will make available to ANZMEX members, free double tickets for screenings of plays recently performed by the National Theatre in London. National Theatre Live (NT Live) launched in June 2009. Since then, they have broadcasted more than forty productions around the world. Each broadcast is filmed in front of a live audience and cameras are carefully positioned throughout the auditorium to ensure audiences get the ‘best seat in the house’ view of each production. - If you are interested send an email with your name and the name of your companion to Sergio Almazán by COP on Thursday 9 August 2018 (at the latest). We are pleased to invite you to the next breakfast organised by ANZMEX’s Finance & Infrastructure Group which will take place on Tuesday 10 July 2018 from 8:00 to 10:00am. During this event Jorge Espinosa Mireles Zesati, Director of Red Troncal (Back Bone Network) at TELECOMM will present the tender process underway for a public-private partnership to build and operate the Red Troncal, a fibre optic network that will form the backbone of Mexico’s telecommunications infrastructure. The constitutional reform allows up to 100% direct foreign private investment in the telecommunications sector, therefore TELECOMM issues this Request for Expression of Interest (RFEI) as a first step to evaluate the feasibility of pursuing a possible International Public-Private Partnership competitive tender process, according to the Public-Private Partnerships Law. Australia vs Peru// GO SOCCEROOS! The FIFA World Cup fever has started & ANZMEX wants to invite all Australian nationals living in Mexico to support The SOCCEROOS with us! NOTE: If you fancy an early beer, no worries!, ANZMEX will pay for the first round. If you want more, you will be able to purchase additional beverages at the bar after 9am. PARKING SPACES OR VALET PARKING SERVICE WON'T BE AVAILABLE FOR THE EVENT. The format will be a breakfast meeting of 12 - 15 members. At each event we will invite 2 members from diverse sectors to introduce their activities to the rest of the group. Following that we will encourage a free ranging discussion on topics of mutual interest. This event will be limited to 12 to 15 participants in order to have a frank and open conversation, we therefore ask you to confirm your attendance as soon as possible. With the July presidential election looming, some in the Mexican energy sector are bracing for change. Others are confident that Mexico’s institutions and the recent Energy Reform will ensure continuity in the sector. What are the probable scenarios for the next six years? What vision do the presidential candidates have for the energy sector? What is the place of renewables in each candidates’ energy plans? What can change, what should change, and what is best for the country, companies and consumers? All things considered, we all want to know what the next era in Mexico’s energy history will look like. Format: Individual presentations and Q&A session, followed by a networking/cocktail reception. This will be an intimate conversation, under Chatham House Rules and places are very limited. The event will be conducted in SPANISH. Please let us know if you'll need translation services. ANZMEX ORG A.C. is a politically neutral business council with no political affiliation. The views expressed by panelists, moderators or attendees at ANZMEX events are not necessarily representative of the official views of ANZMEX or any of its officers or staff. Copyright © 2018 ANZMEX Business Council, All rights reserved. 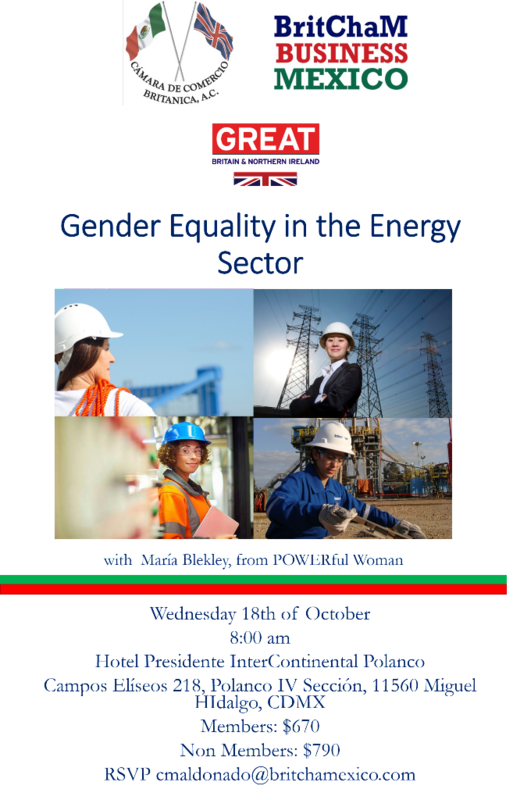 10th anniversary debate with special recognition of International Women’s Day and women in the energy sector, attendance for women is FREE. Changing the energy sector - “who wins & why?” The energy security paradigm has been broken. External changes have forced change in Mexico’s energy landscape - ongoing NAFTA re-negotiations, implementation of the largest tax cuts in the USA in 30 years, re-shaping of the TPP, 3 hurricanes in the Gulf of Mexico, and Mexico’s largest earthquake in a century. There are new demands from new generations of Mexican consumers, pushing an energy transition towards low carbon economies; the last energy auction in Mexico delivered electricity prices that broke the global lower limit for solar and wind. And there will be more changes coming soon - a new President, Senate & Congress. Mexico’s energy independence continues to decrease as its production of oil and gas declines, offshore and onshore drilling activity wanes, while imports of refined products and natural gas increase; energy reforms clearly take time to impact its energy outlook. Many energy investments are on hold pending resolution of complex social impact and environment issues, and we are yet to see the start of exploitation of Mexico’s large unconventional (shale) resources. Many voices argue that change is needed in the energy sector, that Mexico needs more energy reform; another energy reform to make investment more simple, less complex and lower cost, deliver free-market prices and to improve investor protection. Others argue that further reform and changing the rules brings instability and adds uncertainty, and that energy investments already have enough uncertainties. Some believe that energy should be subsidized. So, in the energy sector in coming years, who wins & why? Is change too slow? Does Mexico need to go back to the drawing board and start again? Who wins if there is more energy reform? Without reform, will investors drift away from Mexico believing there are better opportunities for their capital elsewhere in North and South America? Is Mexico really an easy place to invest? What does high inflation and peso depreciation mean for energy investors? The winners will no doubt be those that understand the games in play, so which games are in play? What are companies doing to successfully navigate the energy landscape? Which changes are coming? Which energy consumers are happy? Which ones are not? 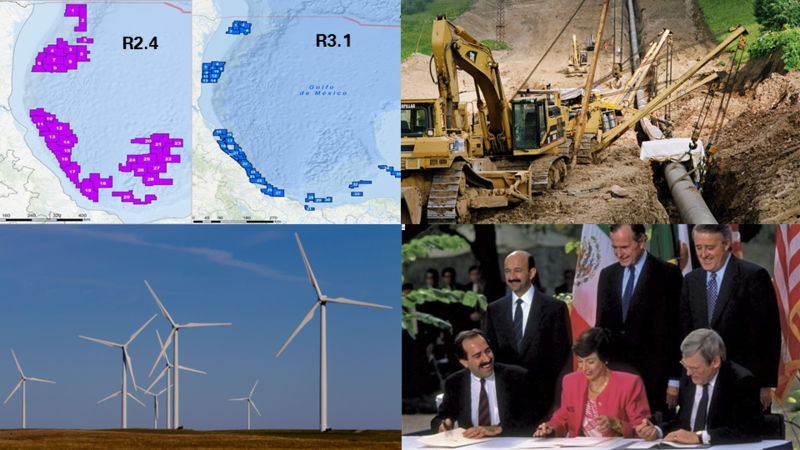 Who will write the next chapters in Mexico’s energy history? What is the debate format? Each debate contains recognized experts, some covering one position, some covering the other, and a moderator. The debate is held in English. Each of the debaters makes an opening statement of no more than 5 minutes each. The debate then continues with questions from the audience and answers from the debaters. No question is longer than 20 seconds, no answer should be longer than 60 seconds. Chatham House rules apply. The debate will last 1 hour after which the moderator will organize a series of votes by a show of hands. Refreshments are available before, during & after the debate! Energy & Commerce magazine recently quoted the ANZMEX ‘Who wins & why?’ energy debate series as having a cult following. Please come and be part of our cult! Informe de la Dirección Ejecutiva sobre la membresía de la Asociación, ratificación de dicha membresía, así como propuestas y, en su caso, aprobación de la admisión y renuncia de Asociados. Informe del Tesorero del Consejo Directivo sobre los estados financieros correspondientes al ejercicio social de 2017 y el presupuesto para 2018. We are pleased to invite all members to the 2018 ANZMEX Annual Assembly which will take place on Tuesday, 13 February 2018 from 18:00 to 21:00 at Club de Industriales. The Assembly will be preceded by a farewell cocktail in order that ANZMEX members can thank our current President, Adrienne Bonwick for there support and to wish her the very best in the UK. In addition to legally required elements referred to in the Convocatoria, we will discuss our plans for 2018 and invite members to share their perspectives with us. Undertaking the Annual Assembly is a legal requirement for our Association and thus we must comply with the legal procedure regarding the number of attending members in order to make the voting process valid. Therefore it is of utmost importance that each member is represented* and that the arrival time is respected. In the case that you are unable to attend we request that you complete the attached PROXY FORM, nominating your representative (ideally another member who will be attending or a member of your organisation). We kindly request that you confirm attendance or send your PROXY FORM no later than Friday, 9 February 2018. We have special surprises prepared such as a free trip to New Zealand and some other prices. The ticket will be given away as a raffle prize at our event. If your company wishes to get in touch regarding the Christmas presents for the raffle please contact Jael Duran. POLITICAL PROSPECTS AHEAD OF THE 2018 MEXICAN PRESIDENTIAL ELECTION. ANZMEX Business Council is pleased to invite you to a conversation with President and Founder of Emerging Markets Political Risk Analysis (EMPRA) Alejandro Schtulmann to discuss the political prospects ahead of the 2018 Mexican presidential election. Alejandro Schtulmann will analyze the present state of Mexican politics, preliminary presidential polls, and other trends as well as the potential outcomes of the upcoming presidential elections, broken down by candidate and by party, with a focus on policy in key areas of the economy. 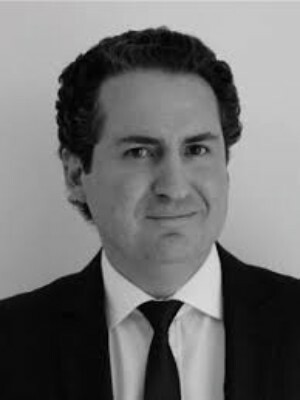 Alejandro Schtulmann is a founding partner and President of Emerging Markets Political Risk Analysis (EMPRA), a political risk advisory and consulting firm focusing primarily on Mexico. He is also the head of research. Prior to founding EMPRA in 2007, Mr. Schtulmann worked as an independent consultant on energy issues and Latin American politics. Between 2001 and 2005, he worked as a research analyst for Eurasia Group on the Stability Index Project and as a consultant for the Inter-American Development Bank in Washington, D.C. From 1997 to 1999, he worked for the Ministry of Foreign Affairs in Mexico, where he coordinated between the OECD and federal agencies on a wide range of policy projects. Emerging Markets Political Risk Analysis (EMPRA) is Mexico’s leading political risk advisory firm. EMPRA delivers critical intelligence and independent analysis on political, policy, and security developments and their impact on key areas of the economy. 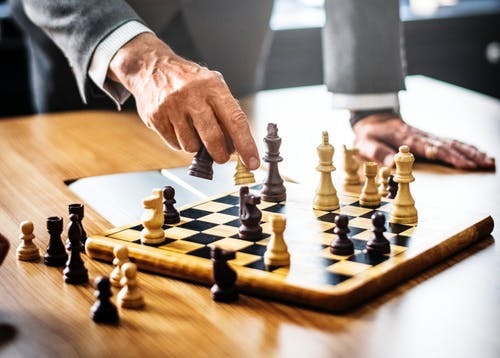 EMPRA's services help decision makers anticipate upcoming changes in the political spectrum and formulate timely, successful strategies in the face of sudden changes and uncertainty. This has a direct impact on investment, decision making, and corporate performance. This event will be limited to 20 participants in order to have a frank and open conversation, we therefore ask you to confirm your attendance as soon as possible. ANZMEX is pleased to invite members and their guests to join us for our 2017 VIP Racing Dinner. Join ANZMEX members, diplomats, sponsors and our guests for an exclusive dinner at the Jockey Club and enjoy a live broadcast of Australia's most important race, the Melbourne Cup at the exclusive Jockey Club of the Hipódromo de las Américas. To view last year's dinner photo gallery, please click here. Please note, there are still sponsorship opportunities available, and there are ticket packages available. To register and find more information, please contact Jael Duran. At this event, attendees will enjoy a three-hour open bar and a special race sponsored by ANZMEX in the Jockey Club. This event forms part of ANZMEX's Racing Calendar, along with our Fascinator Workshop and VIP Racing Dinner. Members who purchase their tickets for all events together will enjoy substantial discounts. Please note that the dress code of the Jockey Club requires that men wear a jacket and tie (no jeans please) and that women dress accordingly. To learn more about the exclusive Jockey Club of the Hipódromo de las Américas please click here. There are still sponsorship opportunities and packages available for tickets at a special price. For more information please contact Jael Duran. Energy security - “who wins & why?” The energy security paradigm has been broken. Ongoing NAFTA re-negotiations, re-shaping of the TPP, 3 hurricanes in the Gulf of Mexico, and Mexico’s largest earthquake in a century have changed today’s energy landscape. Across southern Mexico and the southern USA, more than 10 million people are without power, hundreds of lives have been lost, key energy infrastructure has collapsed, refineries have been shut down and in some cases, petrochemical plants have exploded. Leaks of oil and natural gas have compounded recovery efforts. All this has occurred in less than 3 months. Mexico’s energy independence continues to decrease as its production of oil and gas declines, while imports of refined products and natural gas increase. Energy reforms will take time to impact its energy outlook. Other factors add to the complexity - for example, possible fragmentation in Europe, possible conflict in northeast Asia, possible instability in major energy producing nations, new demands from new generations of consumers, the energy transition towards low carbon economies. So, in the energy sector in coming years, who wins & why? Which countries achieve energy security and affordable energy for all? Which companies successfully navigate the new energy landscape? Which consumers have stable supplies of low cost energy? The winners will no doubt be those that understand the games in play. So which games are in play? What is the debate format? Each debate contains recognised experts, some covering one position, some covering the other, and a moderator. The debate is held in English. Each of the debaters makes an opening statement of no more than 5 minutes each. The debate then continues with questions from the audience and answers from the debaters. No question is longer than 20 seconds, no answer should be longer than 60 seconds. Chatham House rules apply. The debate will last 1 hour after which the moderator will organize a series of votes by a show of hands. Refreshments are available before, during & after the debate! Address: Andres Bello 29 Polanco. Miguel Hidalgo, 11550, Ciudad de Mexico. We are pleased to invite all members to our next ANZMEX Discovery Breakfast Series 3 which will take place on Wednesday 16 August from 8:30 to 10:00am at Hacienda de los Morales, Salón Huerta. Ambassador: H.E. Ms Lucy Duncan and Ambassador: H.E. Mr David Engel will share their experiences and challenges they have faced during their time in Mexico. PUBLIC-PRIVATE PARTNERSHIP OPPORTUNITIES IN THE MEXICAN WATER AND SOLID WASTE SECTORS. ANZMEX Business Council is pleased to invite you to a breakfast with the President of the College of Environmental Engineers of Mexico (CINAM), Julio C. Valdivieso Rosado to talk about the opportunities in the Mexican water and solid waste sectors. This event will provide an opportunity to get to know Julio C. Valdivieso and CINAM , review highlights of their studies and expertise, with a focus on the Mexican water and solid waste sectors, and discuss opportunities to collaborate. 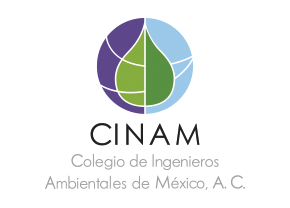 CINAM is Mexico’s College of Environmental Engineers. Its members are involved in the planning, construction, and operation of most of Mexico’s water and solid waste management projects. The College links its members to business opportunities, provides professional training and certification, fosters networking, etc. Its members are also legally recognized as inspectors in their field. This event will be limited to 12 participants in order to have a frank and open conversation, we therefore ask you to confirm your attendance as soon as possible. ANZMEX Business Council is pleased to invite you our next ANZMEX Discovery Breakfast Series 2 to be held on 14 June 2017 at Restaurant Au Pied de Cochon - Salón Normandía (Inside Hotel Presidente Intercontinental). Our first ANZMEX Discovery Breakfast took place this last 3 May. We believe it was a successful event due to the special attendees that joined us. We would also like to thank our speakers: Jorge Arguelles, Diego Sosa, and Javier Mate for their participation. If you are keen on joining the conversation, please RVP as soon as possible. We will soon announce who the next speakers will be. Save the date for our upcoming event: ANZMEX Discovery Series. This is an initiative aimed at bringing our members together to get to know each other better and to discuss business experiences and challenges in a collaborative manner. The format will be a breakfast meeting for 10 - 15 members. At each event we will invite 2 or 3 members from diverse sectors to introduce their activities to the rest of the group. Following that we will encourage a free ranging discussion on topics of mutual interest. This initiative is being championed by Anna Raptis. Please contact Anna with any questions or suggestions. Our first breakfast will take place this coming 3rd May at Hacienda de Los Morales from 8:30 to 10:00am. If you would like to pre-register, please contact Jael Duran. Address: Av. Juan Vázquez 525, Miguel Hidalgo, 11510, Mexico City. Today’s debate comes as we approach a defining period in the history of energy in Mexico, and its connectivity to energy across North America. In terms of energy trade, Mexico is second only to Canada with the USA. 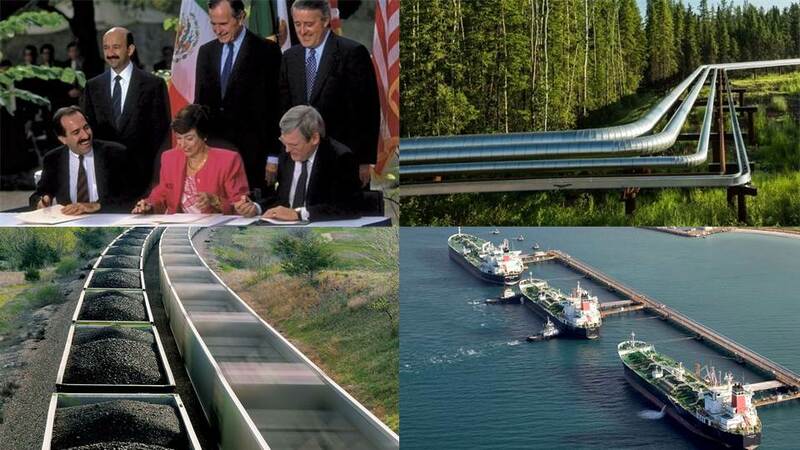 Energy trade between Mexico and the USA has historically been driven by Mexico’s sales of crude oil to the USA, and USA exporting refined products to Mexico. However energy trade has changed significantly in recent years. In 2016, the value of USA energy exports to Mexico (US$ 20Bn) was more than double the value of USA energy imports from Mexico (US$ 9Bn), according to the IEA. Mexican crude oil sold into the USA has declined whilst imports of natural gas and gasoline into Mexico have risen rapidly. 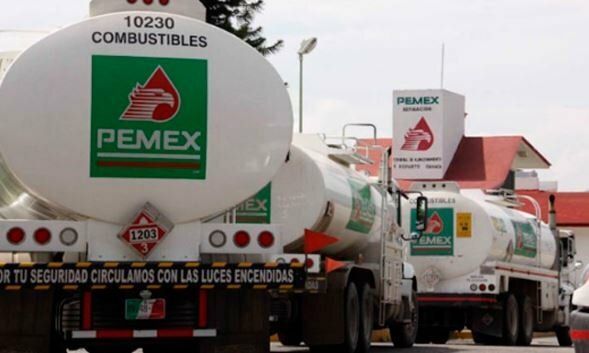 Mexico’s energy security is now heavily dependent on fuels from the USA.What domestic energy policies, and foreign policies, will Governments adopt as the energy trade changes? What will be the impact for the rest of the hemisphere? Natural gas trade is dominated by pipelines between the USA and Mexico. Gas exports to Mexico totaled nearly 2.9 bcf/d in 2015 (almost 60% of all USA natural gas exports), but daily flows during early 2017 have already risen to over 4.2 bcf/d. By 2018, natural gas pipelines currently under construction or planned are expected to nearly double the pipeline natural gas export capacity from the USA to Mexico. For petroleum products (gasoline, diesel etc. ), in 2015 Mexico imported 690,000 bpd, by 2016 this averaged 849,000 bpd. So who wins & why? With the changes in energy trade, which companies will be successful? Who are the winners in the short term? And the long term? Following the sweeping energy reform and new legislation in Mexico there are now bids for major contracts in both the upstream exploration & production sector, pipeline transportation, and power generation; new domestic markets are opening in fuels; new sources of finance are being sought, for example in refining, and the legal framework is changing. Are subsidies of certain forms of energy still viable? How will investors become winners and why? Copyright © 2017 ANZMEX Business Council, All rights reserved. This event will provide an opportunity to get to know IMCO, review highlights of their studies and expertise, with a focus on anti-corruption and transparency, and discuss opportunities to collaborate. The Mexican Institute for Competitiveness (IMCO) is an evidence-based, non-partisan, not-forprofit think tank, that combines research and advocacy to solve Mexico’s most important challenges. IMCO’s mission is to propose public policies, suggest viable actions, and influence in their adoption and execution to achieve a prosperous and inclusive country. In their vision, IMCO is a goodwill consultant to Mexican society that, using hard data, enhances the level of the public debate and the decision-making that affect our country. The backbone of IMCO’s policy research agenda is to promote Mexico’s competitiveness, which they define as the ability of a country to attract and retain investment and talent. IMCO`s develops public policy analyses and recommendations in the areas of public finance, technology, environment, governance, corruption, transparency, urban development, education and health. Since its inception in 2003, IMCO has become one of the leading thinks tanks in Mexico, known for the quality of its analysis and impact of their work. IMCO`s non-partisan DNA allows them to maintain a constructive dialogue with diverse political actors. We invite you to start the new year by joining us this Saturday January 28, at our Australia Day - ANZMEX Barbecue, which will take place at the Official Residence of Australia. It will be a relaxed and casual event for our members and their friends and families. We will provide sausages and lamb for the barbecue, salad, dessert buffet, water and soft drinks and you are welcome to BYO (bring your own) drinks and anything you would like to share. Please confirm your attendance with Héctor Martínez. To know more about the celebrations of Australia Day both in Australia and around the world please click here. *Note: For security reasons all confirmations and payments should be done by Thursday 26th January. ANZMEX - 2016 Christmas Party!!! Join ANZMEX members and special invitees to this relaxed and informal networking opportunity. ANZMEX Business Council is proud to invite you to a members only event with Gerardo Gutiérrez Candiani, Head of the Federal Authority for the Development of the Special Economic Zones. This event will provide an opportunity to discuss the opportunities and challenges of the new special economic zones. 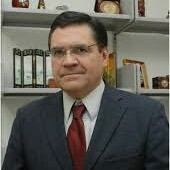 Gerardo Gutiérrez Candiani served as Chairman of Confederación Patronal de la República Mexicana (COPARMEX). He also served as Director of Banco Nacional de Comercio Exterior SNC, and as Deputy Director of Instituto del Fondo Nacional de la Vivienda para los Trabajadores (Infonavit). 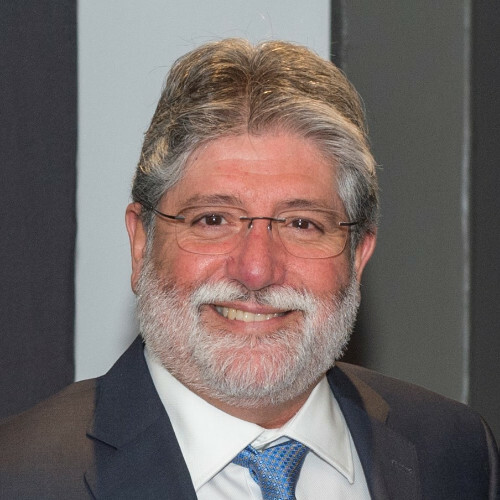 Among other responsibilities, Mr. Candiani served as Deputy Director of Banco Nacional de Comercio Exterior SNC, and as Director of Nacional Financiera, S.N.C. Institución de Banca de Desarrollo. In July 2016, he was appointed by President Peña Nieto as the Head of the Federal Authority for the Development of the Special Economic Zones. This event will provide an opportunity to discuss the opportunities and challenges of the Mining sector in Mexico. Currently, Mr. Cantú is the General Coordinator of Mining within the Secretariat of Economy, heads the national mining sector. He is responsible for the national mining policy and coordinates the Mining Development Bank, the Mexican Geological Survey and the State-owned company: Exportadora de Sal. He has extensive experience in the public and private sector, especially in fiscal, economics and finance. 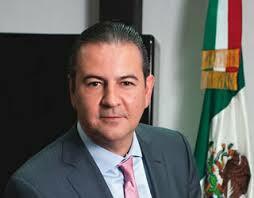 In the Federal Government, he has held different positions for more than 25 years in the Treasury Secretariat, Secretariat of Labor, Secretariat of Social Development; he has also worked in institutions like Wharton Econometric Forecasting Associates and PEMEX International, State-owned company. 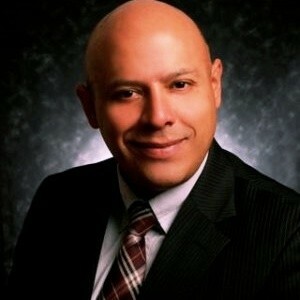 Mr. Mario Cantú Suárez has a Bachelor Degree in Economics from Universidad de Nuevo León in Monterrey-México, a Master Degree and Doctoral studies in Economics from the University of Pennsylvania. 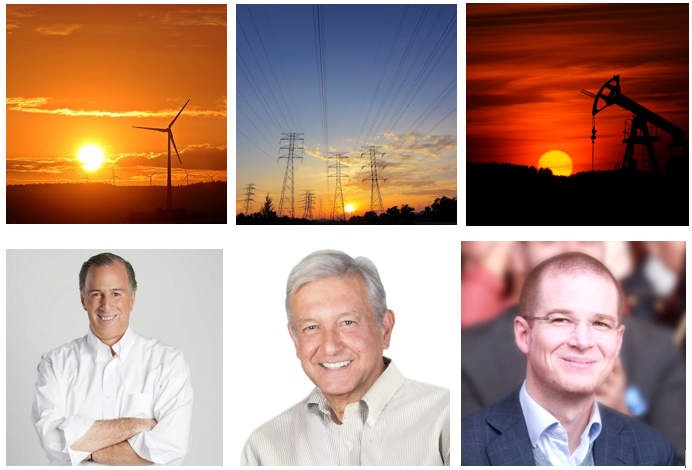 Energy Infrastructure in Mexico - Who Wins and Why? Energy infrastructure is more than pipelines and wires, storage terminals and ports. Energy infrastructure is also about energy security, the ability to have access to reliable low cost energy supplies, creating a choice of energy products at competitive prices upon which to build the economy and creating jobs. Infrastructure can have a significant multiplier effect on the economy and economic growth, while investment to remove bottlenecks in infrastructure is critical to efficient development. Today’s debate comes at an exciting moment in the history of energy in Mexico. Following the sweeping energy reform and new legislation, Mexico has embarked on bids for major contracts in both the upstream exploration & production sector, midstream pipelines, and downstream, particularly in power generation and transmission. Markets are opening; new sources of finance are being sought. The legal framework is changing. So who wins & why? Which companies will be successful? Which industries benefit from new infrastructure? Who will maintain the existing infrastructure? Are JVs a good solution. Who are the winners in the short term? And the long term? The ANZMEX Energy Debate Series © is a different type of event in Mexico. It is designed to get to the heart of Mexico’s energy issues, where leading experts debate and defend their position, your questions get answered directly, topics get addressed frankly, and you get a chance to vote on what you think is the best solution for key energy challenges. What is the debate format? Each debate contains recognised experts, some covering one position, some covering another, and a moderator. Each of the debaters makes an opening statement of no more than 5 minutes each. The debate then continues with questions from the audience and answers from the debaters. No question is longer than 20 seconds, no answer should be longer than 60 seconds. Chatham House rules apply. The debate will last 1 hour after which the moderator will organize a series of votes by a show of hands. Refreshments available before, during & after the debate! To confirm your place please make payment and send your receipt of payment to register@anzmex.org. For more information please contact Lucia Coman. ANZMEX Business Council, together with RIMEL, is pleased to extend the invite to all members to a breakfast to celebrate international Women's Day with a presentation made by H.E. Ambassador Clare Kelly. Leading a little embassy in a big region and delivering an ambitious agenda with limited resources, while finding connections and common interests between New Zealand and the 10 Latin American countries on her diplomatic watch. With her usual wit, and impeccable style, Ambassador Kelly will discuss the challenges of being a female diplomat, along with some of her favorite topics ranging from trade and agricultural linkages, to improving conditions for women in the workforce. As an avid athlete, world traveller, food lover and loyal All Blacks fan, Ambassador Kelly will also share her personal story of thriving in diverse cultural environments. The cost is $350 pesos, which can be paid in cash at the door. Delegate of the Mondragon Corporation. The conference will be followed by a networking cocktail. *Registration will be conducted through the Spanish Chamber; however, ANZMEX will have a representative at the event. ** All cancellations made less than 48 hours prior the event will be charged. In addition, to celebrate Women’s Day, Time Contact Magazine has published an article featuring our President, Adrienne Bonwick. ANZMEX Business Council is pleased to invite you to its event: Conversations about Corporate Social Responsibility (CSR). Join the conversation about best practices, evaluate your own programme and obtain new ideas for 2015. As part of the ANZMEX Corporate Social Responsibility Programme (CSR) we support the following NGOs: Charity Coalition, Deportes para Compartir, Mision Mexico and Semillas. 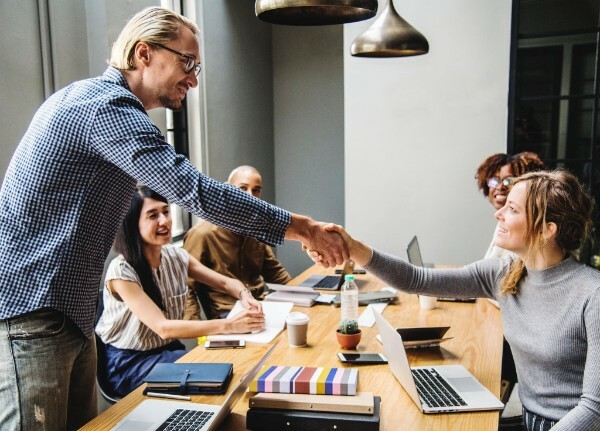 In addition to promoting their activities, we aim to connect them to our members in order to facilitate effective CSR programmes within ANZMEX member companies. The event includes a tour of the Museo Memoria y Tolerancia, a conference featuring introductions to the programmes run by our member charities, corporate CSR case studies and a networking cocktail. *Profits will be distributed between our member charities. **The event ticket includes a guided tour of the museum departing at 17:00, guests arriving after this time are welcome to take a self guided tour. For more information, please contact Lucía López. A Taste of ANZMEX - 2014 Christmas Party!!! 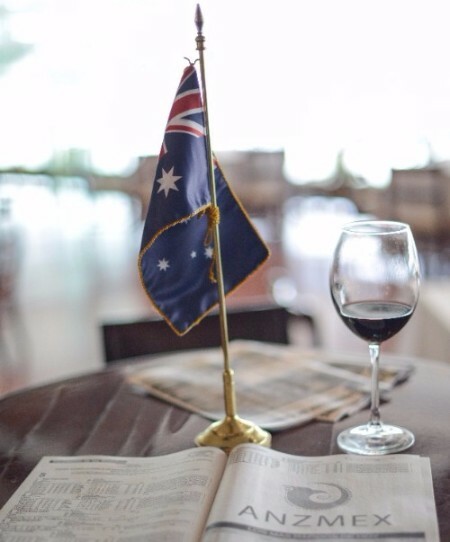 Join ANZMEX members and special invitees to this relaxed and informal networking opportunity featuring the Australian wine, provided by our member Vinos, Viñedos y Bodegas, and special Christmas delicacies. 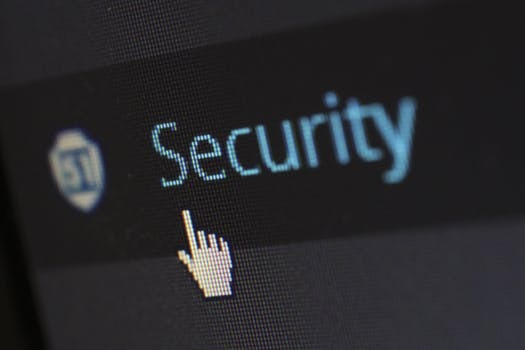 *If you wish to retrieve your website-user in order to access this section and/or you would like to update your company information in our website, please send an email to Karla Romero. *Additional tickets for extra members and invitees will be charged under a discounted rate. With the aim of celebrating the shared tradition and passion between Australia, New Zealand and México for horse racing, ANZMEX hosted the Official Family Racing Lunch of ANZMEX Racing Week 2014 at "La Terraza" of the Hipódromo de las Américas. 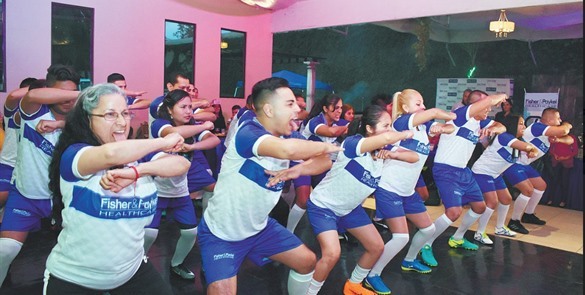 At this family event, attendees enjoyed an extensive buffet lunch, a three-hour open bar, special activities for children, and a special race sponsored by ANZMEX. In this race, horses receives the names of Australian and New Zealand cities, and the winning horse and its jockey were presented by their corresponding Ambassador at the winners circle. Special guests included the New Zealand Ambassador; Clare Kelly, the Australian Ambassador; Tim George, and key business, political and cultural leaders of Mexico. To follow the Australian tradition and to recreate the Melbourne Cup ambiance, women were encouraged to wear their favorite dress and hat. To view our Racing Lunch photo gallery, please click here. 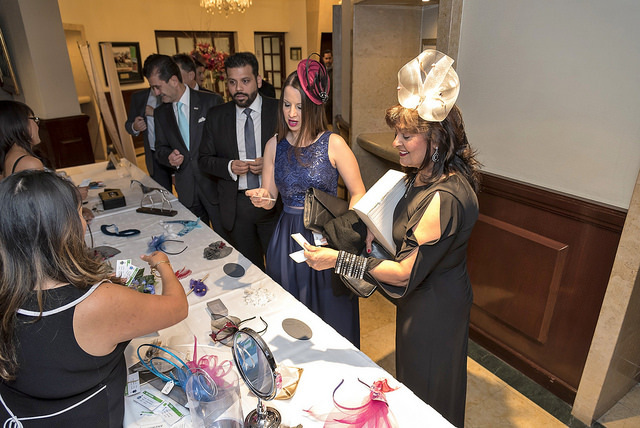 ANZMEX hosted the Official VIP Launch Dinner of ANZMEX Racing Week 2014 in the exclusive Jockey Club of the Hipódromo de las Américas where attendees had the opportunity to watch a live stream of Melbourne Cup, the most important horse race of Australia. In Mexico as in Australia and New Zealand, horse racing brings together fascinating people from commercial, politic and social communities that together create one of the most exclusive sporting environments. To follow the Australian tradition and to recreate the Melbourne Cup ambiance, women were encouraged to bring their favorite dress and hat. To view this year's dinner photo gallery, please click here. “Tight Oil Onshore vs. Deep Water Oil Offshore - who wins and why?" The ANZMEX Energy Debate Series © is a new type of event in Mexico. It is designed to get to the heart of Mexico’s energy issues, where leading experts defend and debate their position, your questions get answered directly, topics get addressed frankly, and you get a chance to vote on what you think is the best solution for key energy challenges. What is the debate format? Each debate contains 4-6 experts, 2-3 covering one topic, 2-3 covering the other, and a moderator. Each of the debaters makes an opening statement of no more than 5 minutes each. The debate then continues with questions from the audience and answers from the debaters. No question is longer than 20 seconds, no answer can be longer than 60 seconds. Chatham House rules apply. The debate will last 1 hour after which the moderator will organize a series of votes by a show of hands. Refreshments available before, during & after the debate! For registration, please contact Lucía López. Adrienne Bonwick, president of ANZMEX and Chris Sladen, our Energy Sector leader will be hosting at their home a barbecue for our members and families to celebrate Australia Day. it will be a relaxed and casual event and members are asked to BYO (bring your own) meat and alcohol and make a donation of $150 to cover catering costs. Treasury Wines have kindly extended their special discount for ANZMEX members which you can find below. If you wish to attend please send an email to Lucia Lopez. ANZMEX, together with the Australian Embassy is currently organising a joint event to conmemorate this day. Information will be published shortly. Mexico has made postive headlines in the worldwide business press for the past few months. Despite the global financial crisis, the country is emerging again as a crucial export character, successfully competing with the asian manufacturing giant, China. In this scenario, the telecommunications sector is presented as one of the most dynamic industries in Mexico and a new period of change for it. Consequently, big regulatory steps within the technological sphere have been made to transform this dynamic sector and open new business opportunities. The BNamericas Mexico Telecom Summit will bring together more than 200 executives from both the private and public sector, telecommunications market regulators, global operators and suppliers of equipment and services, key advisors, bankers, analysts and experts involved in strategic decision-making. Following the summit closure, a complimentary cocktail party will be held for attendees. Participate in this event and take advantage of an opportunity that will allow you to make the best decisions for your business in communications. Visit www.mexicotelecomsummit.com for further details. Any ANZMEX members who are interested in taking part of this grand event are offered a 10% discount off the registration fee (already reflected above). Do not hesitate to contact Beatriz Ramírez, Event and Membership Coordinator, at beatriz.ramirez@anzmex.org or +52 55 5211 6233 to RSVP. An available PDF copy of the event schedule is provided below. 5th anniversary celebrations and end of year event. To celebrate the 5th anniversary of ANZMEX Business Council and the end of another successful year please join ANZMEX members and invited guests at the Residence of the Australian Ambassador. More information to be confirmed soon. Please contact Lucia Coman for any comments or questions. The debate will be held as part of the Australia-Mexico Infrastructure Finance Forum and will be followed by a cocktail-networking event.